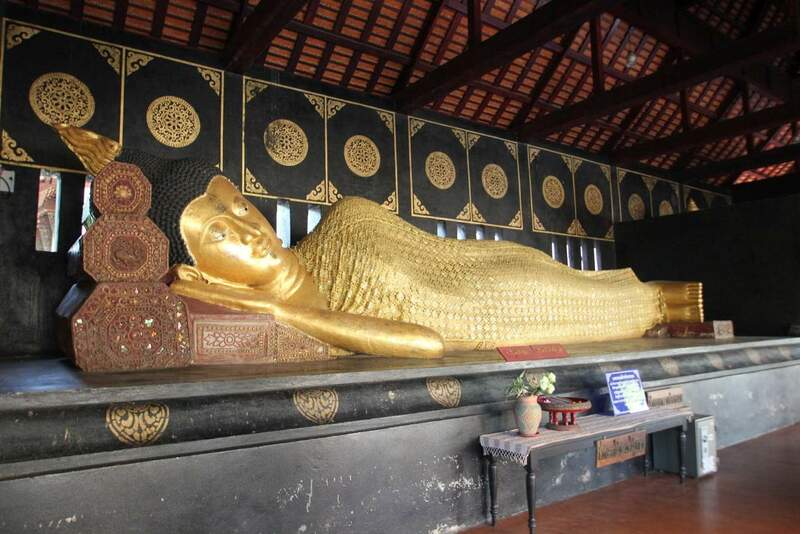 Wat Chedi Luang is a historic Buddhist temple located in Chiang Mai that was built from 1391 and then expanded again in 1475. 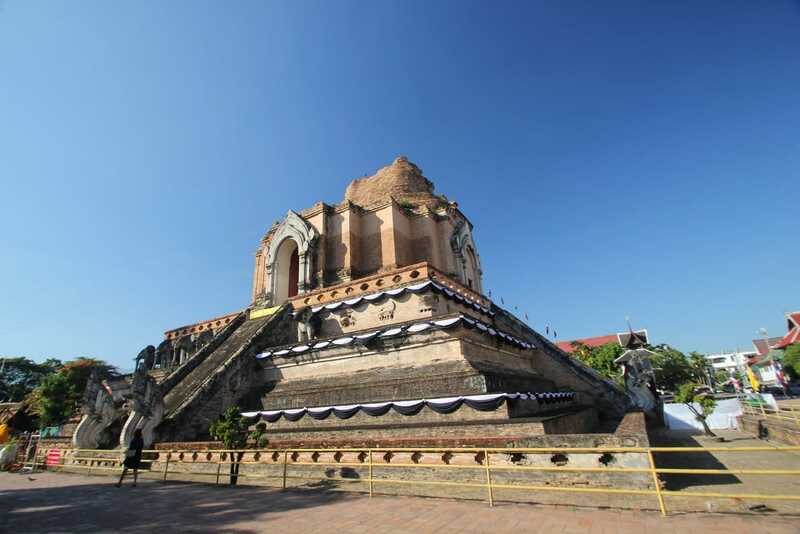 The temple was ordered by King Saen Muang Ma who intended for the temple to hold the ashes of his father, Ku Na and stood at 84 metres. 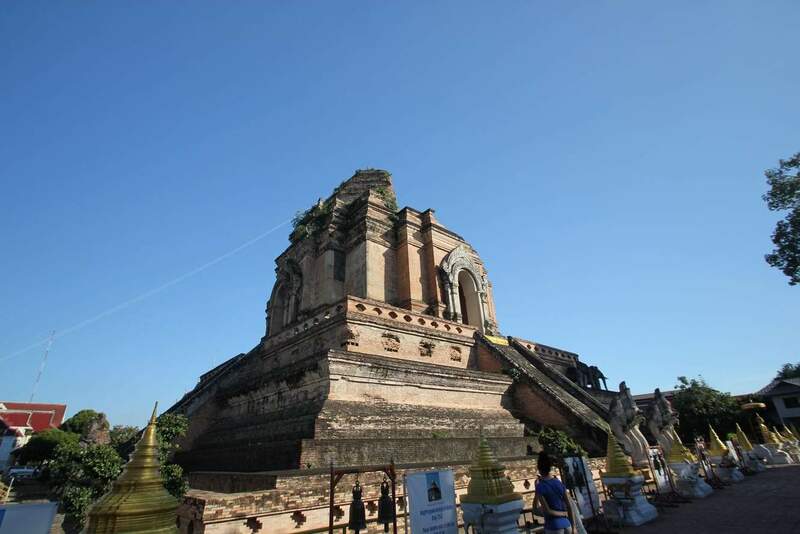 Today, the temple stands at around 60 metres in height having been damaged by earthquakes over the years. 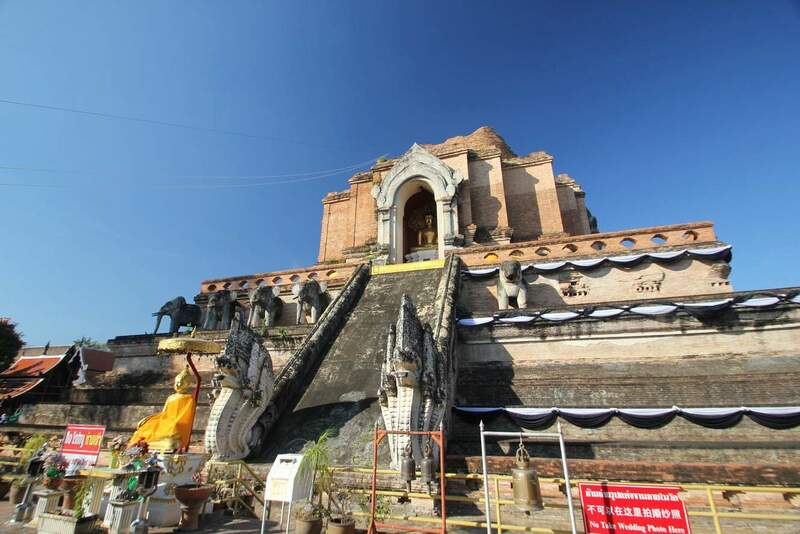 There was some restoration carried out on the temple in the 1990’s which served to stabilise the temple and prevent further degradation. 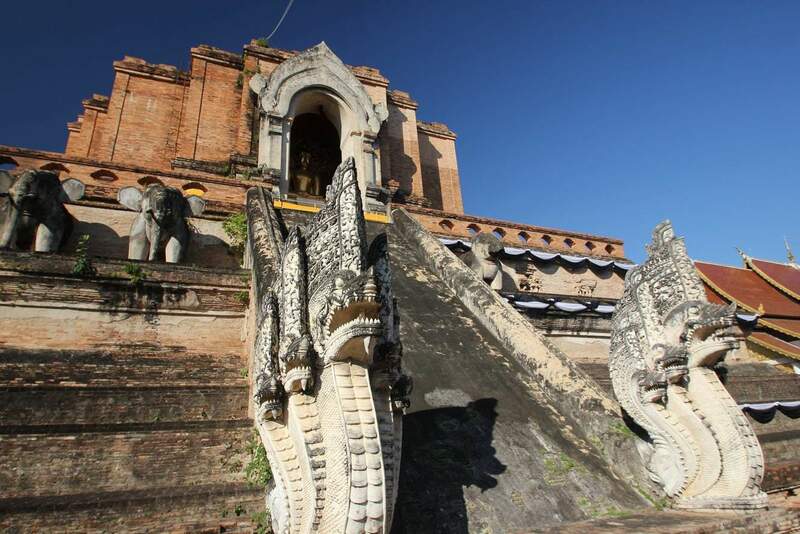 Despite the damage, Wat Chedi Luang is still an impressive sight, with elephants and other statues remaining in place. 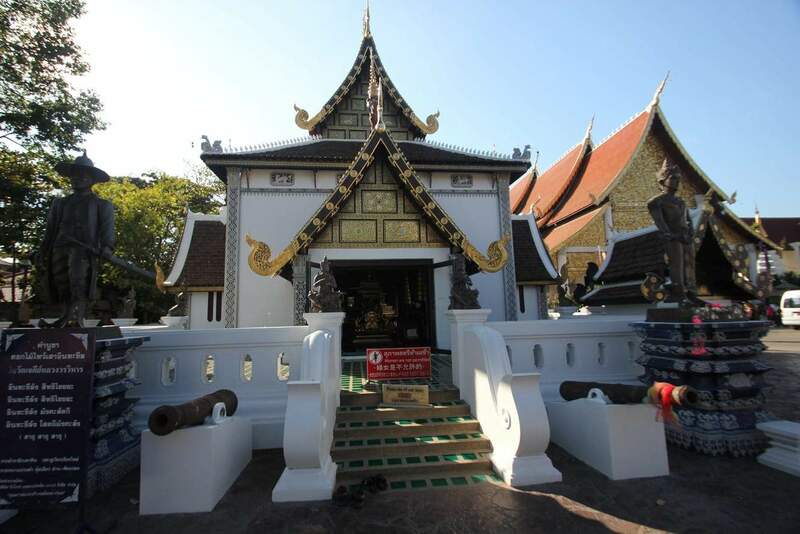 There are two other temples you can visit whilst on the grounds including Wat Ho Tham and Wat Sukmin. 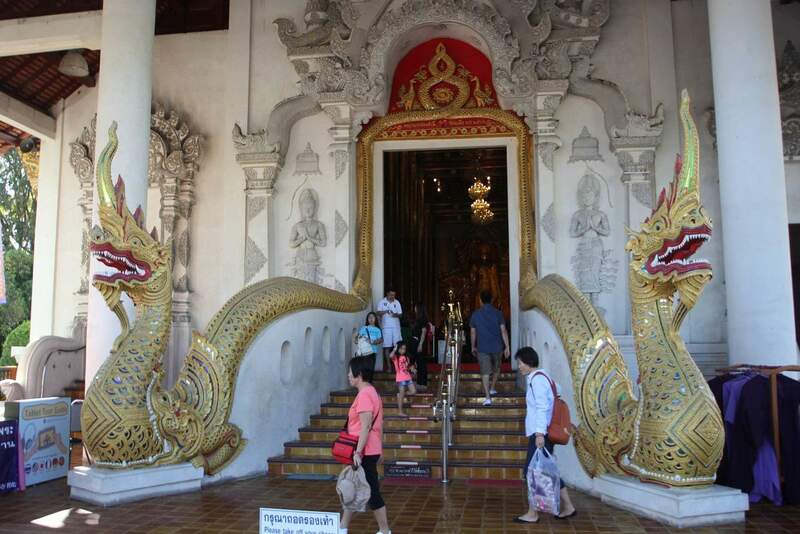 Many local people come to these temples to pay their respects and to pray. 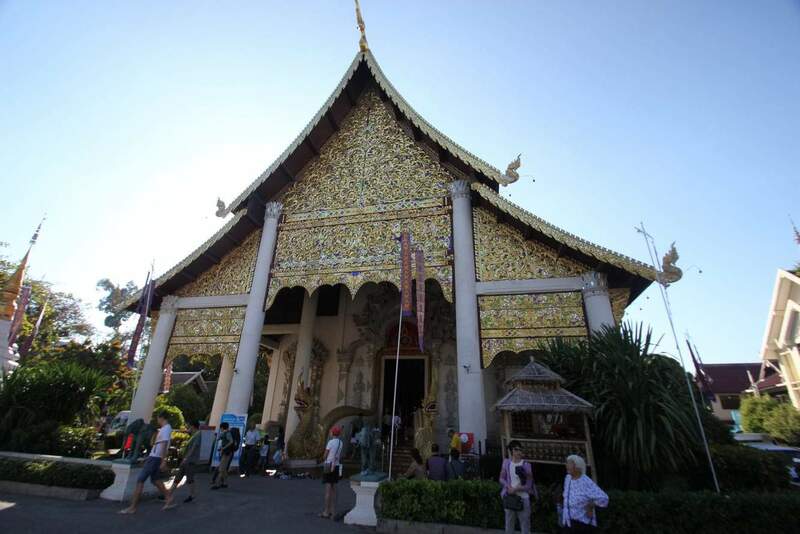 There are also a number of religious events and services held at this location during the year. 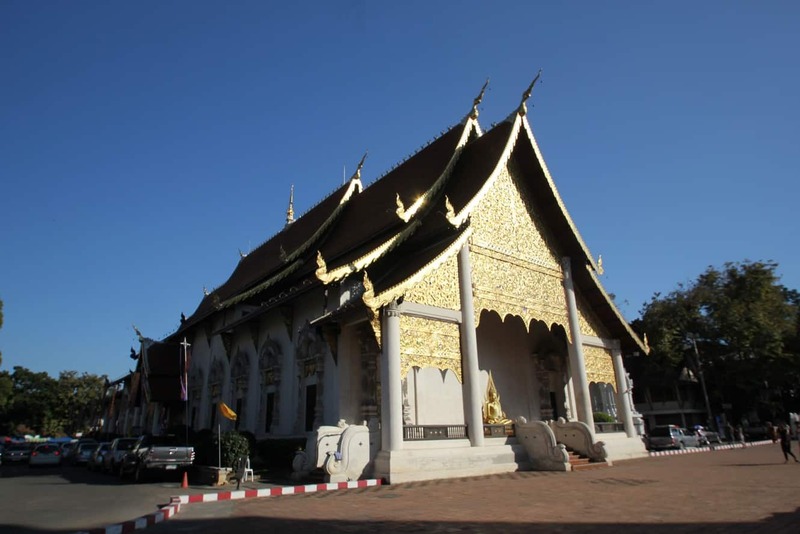 Wat Chedi Luang is located right in the centre of the old city in Chiang Mai. You can walk here from any of the gates at the moat and should take less than 10 minutes. 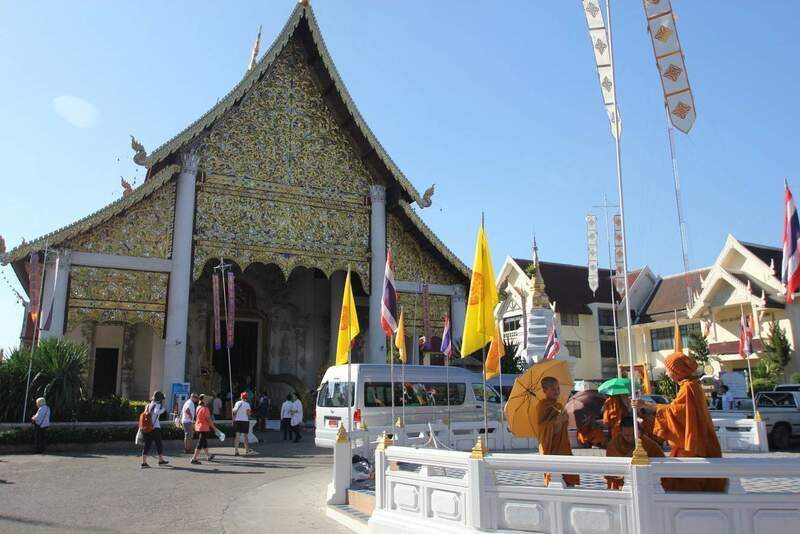 Any red truck (songthaew) can take you within the old city for no more than 20 THB per person.